The Christmas elf at work already :-)! Cute elf, what is elftakeover?? Chantelle, you look so green and oh so different! Lol! Has she got a name yet?! 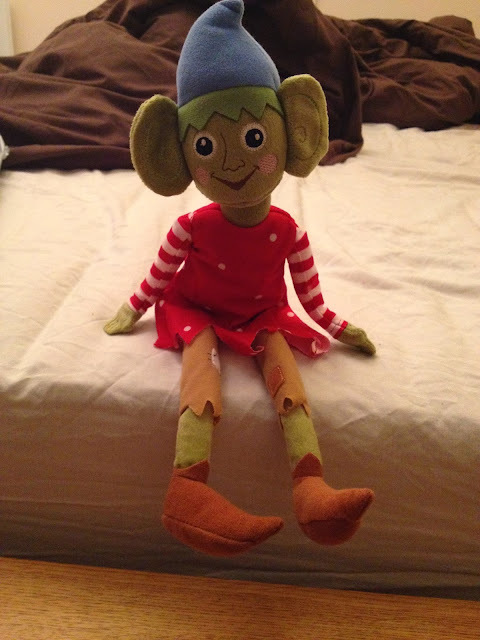 I am way too excited about my new elf! Brilliant! I've just ordered our elf, can't wait for it to arrive! Lots of elfing around coming up! I must say that there is something a little disconcerting about the way that elf is looking at me! Funny pic. Ooo a little elf, how cute!